More than 17 million people managed. 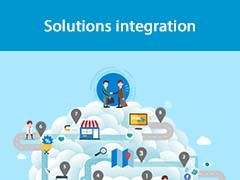 A software solution dedicated to the management of individual and collective health and preventive health contracts, benefiting from a tried and tested infrastructure that enables the processing of high volumes (+5 million people managed at the same time, 850 simultaneous users), for managing your management procedures in complete security with complete traceability, and operating multi-site installations. 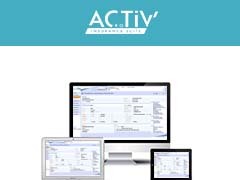 ACTIV’RO is the solution adapted to the financial constraints of management delegation of the compulsory social security scheme. For compulsory social security scheme managers, SL and AMPI. Benefit from complete multi-scheme RO cover, with business experience in major projects (implementation of information systems for the CNSS, the CNOPS and ANAM for the management of the Morocco Health Insurance scheme). Through its direct payment by insurers brands iSanté and SP Santé, the CETIP offers a modern direct payment by insurers payment solution. 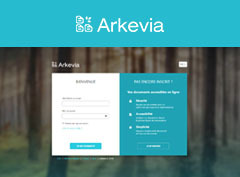 It positions itself as the leading direct payment by insurers operator in France with 2.9 billion services paid per year for 20 million beneficiaries. We offer, on the one hand, better access for policyholders and, on the other hand, faster and secure payment methods for healthcare professionals. 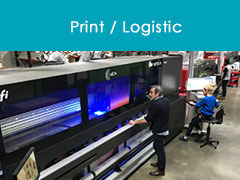 which digitises all supply flows and invoices. 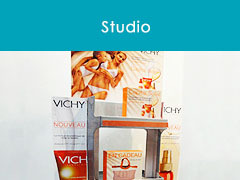 Broadcast your advertisement on the computers of more than 16,000 general practitioners and specialists. 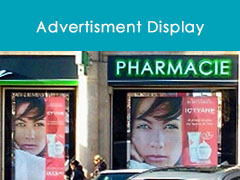 Digital advertising solutions for window displays and inside pharmacies that enable the promotion of communication by our advertisers and impacts sell-out with an adapted message on screens. 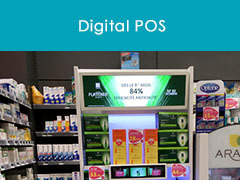 Promotion of products via digital POS in the retail space. 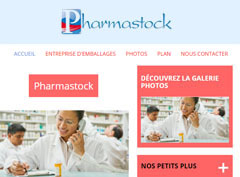 Pharmastock specialises in logistics for pharmaceutical products and packaging. 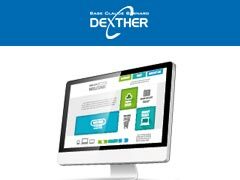 LAP certified (help with prescription) with BCB Dexther, the leading medication database approved by the French National Authority for Health, MLM is an online medical software eligible for the Forfait Structure (Structure Fixed-Rate) of the Medical Convention. 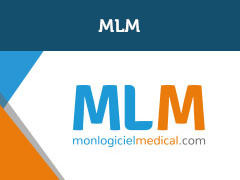 In addition to the surgery's standard medical and administrative management functions, MLM offers the flexibility and ease-of-use of an online program: always up-to-date (procedures, prices), no updating required, accessible 24/7 from anywhere via a computer, tablet or smartphone with its mobile app. 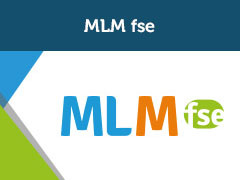 MLM integrates all Health Insurance remote services, MSSanté secure messaging, DMP, and is synchronised with Docavenue for online appointment scheduling. 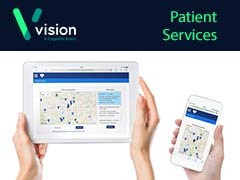 Hosting and innovative management software designed to simplify the management of your dispensary, optimise its functioning and its results, improve the services for patients. 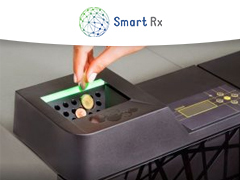 Cashguard is an innovative solution proposed by Smart Rx for managing your cash. Thanks to a complete equipment and software system, Cashguard not only protects your cash but also helps you to ensure better control of all your cash flow movements. Cashguard manages money received, change and cash register accounting. 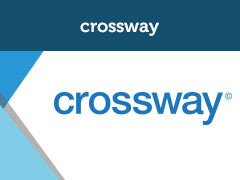 A solution integrated into your management software that allows you to be in agreement with your new missions and reinforce your role in over-the-counter advice in complete security and simplicity. 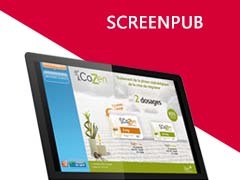 In particular, a patient booklet is present for listing and monitoring all of the patient's health data as well as a protocol library for monitoring patients in the frame of pharmaceutical interviews. 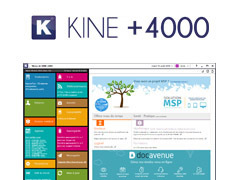 KINE+4000 is the leading practice management software for the profession and more than 25,000 physiotherapists use it every day! 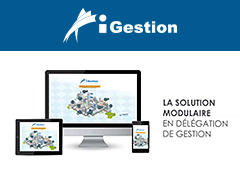 The practice management software developed by RM Ingénierie is used by more than 45,000 practitioners every day! The INFI+4000 solution meets all nursing practice needs as much in terms of organisation (individual, network, remote, mobile) as functionally (management of rounds, medical records, remote transmission, accounting, etc.). 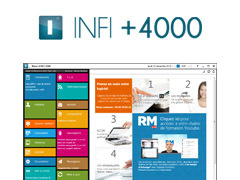 INFI+4000 is SCOR certified for the digitalisation and remote transmission of prescriptions. ORTHO+4000 is the leading practice management software for the profession and more than 6,000 speech therapists use it every day! 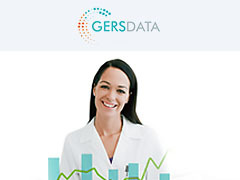 More than 45,000 healthcare professionals use our software in their specific fields of activity. 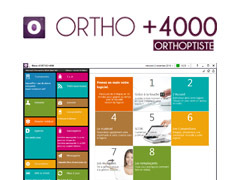 ORTHO+4000 is the leading practice management software for the profession and more than 800 orthoptists use it every day! 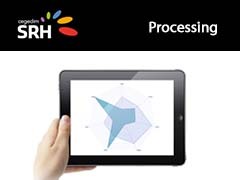 More than 45,000 healthcare professionals use our software in their specific fields of activity. 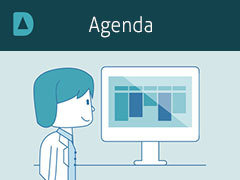 The ORTHO+4000 solution meets all orthoptics practice needs as much in terms of organisation (individual, network, remote, mobile) as functionally (agenda, medical records, remote transmission, accounting, etc.). 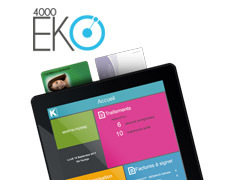 ORTHO+4000 is SCOR certified for the digitalisation and remote transmission of prescriptions. MEDI+4000 Sage-Femme is the leading practice management software for the profession and more than 1,300 midwives use it every day! More than 45,000 healthcare professionals use our software in their specific fields of activity. 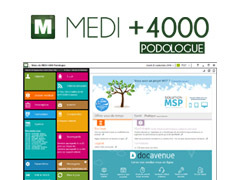 The MEDI+4000 Sage-Femme solution meets all midwife practice needs as much in terms of organisation (individual, network, remote, mobile) as functionally (agenda, medical records, remote transmission, accounting, etc.). MEDI+4000 Sage-Femme is SCOR certified for the digitalisation and remote transmission of prescriptions. 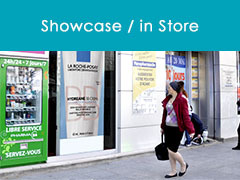 The practice management software developed by RM Ingénierie is used by more than 1,100 chiropodists every day! The MEDI+4000 Chiropodist solution is the only integrated management system combing patient monitoring, medical records, baropodometry, invoicing, remote transmission and accounting, etc. 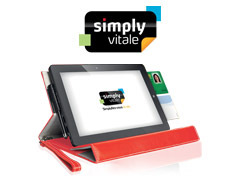 Simply Vitale is a management system for district nurse practices that is compatible with all practices. The only thing you need in addition to Simply Vitale is broadband Internet access for remote transmission. Concentrate on your healthcare activity, Simply Vitale will facilitate the management of your practice and will adapt to its evolution. 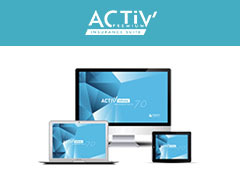 Everything is included as much in terms of equipment (tablet, reader, storage support, etc.) as functions (patients, medical records, invoicing, remote transmission, data sharing, accounting, etc.). 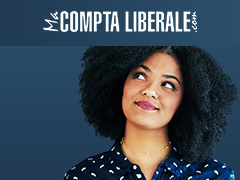 With MaComptaLiberale.com, find all your accounting online! 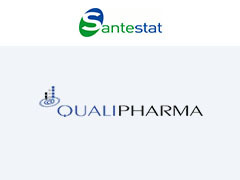 Created in May 2000, Qualipharma is now the privileged partner for pharmacists and groups of pharmacists in the comparative statistics of dispensary management elements. A privileged partner for dispensary pharmacists in their day-to-day development, Qualipharma is at their disposal for the implementation of the desired support in management advice. In collaboration with 95% of the market's SSIIs, Qualipharma is devoted to developing ever more effective management tools and improving dispensary profitability. 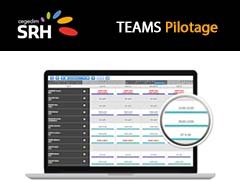 A simple and intelligent Human Resource Management (HRM) solution that allows you to manage all your personnel activities. Follow the entire life cycle of your employees from their recruitment through to their retirement. 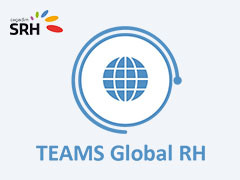 As a complement to its "Coordination" solution, Cegedim SRH offers international companies its Global HR module, a global and international coordination solution. 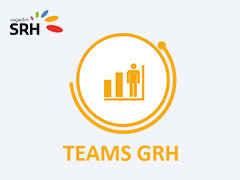 Cegedim SRH ensures the coordination of the customer relation, payroll operation and production on the basis of a collaborative solution. Cegedim SRH ensures the complete outsourcing with management of all payroll processing operations ( ISAE 3402 accreditation). Since 1985, the Base Claude Bernard database, the database of medicines and health products, is consulted every day by more than 100,000 health professionals in France and around the world. With more than 250,000 references and 17,500 medicines, the BCB helps you to secure the dispensing of drugs and offers patients' a high standard of support. 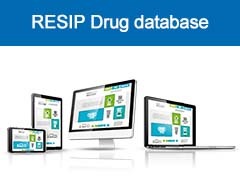 A major player in the securing of the drugs circuit, RESIP implements a Prompt Response, Effectiveness and Innovation at the service of health professionals. 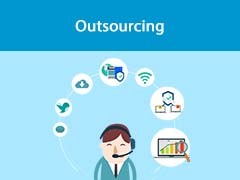 With Cegedim Outsourcing's expertise and know-how, make your IS a true competitive advantage, reduce your costs and increase your productivity. Cegedim Outsourcing supports you in the transformation of your IS by offering its expertise and know-how gained over more than 40 years. 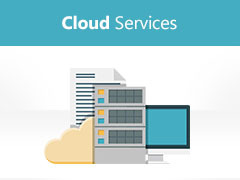 Cegedim Outsourcing offers you complete and evolutive solutions, whether your infrastructure and applications are On-premise, in Cloud or in Hybrid mode. 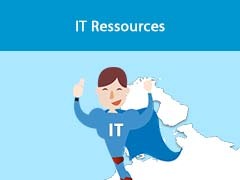 Cegedim Outsourcing supports it clients daily by offering good quality IT resources thanks to its values: High level of expertise, Professionalism, Sectoral expertise and Human qualities. Cegedim Outsourcing presents people who contribute to the company's business activities through their skills and know-how. 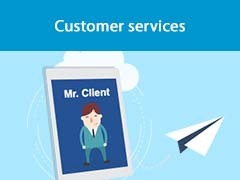 Cegedim Outsourcing offers a Call Centre platform designed intentionally to be at the service of Customer Relations at each key stage in the process: management, loyalty-building and retention. 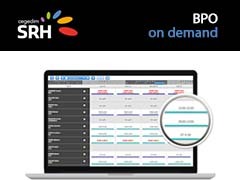 New multi-channel contact and digital support centres for complete control of the B2B & B2C customer path. In an increasingly competitive environment, our customers want to maximise their performance by refocusing on their core business. 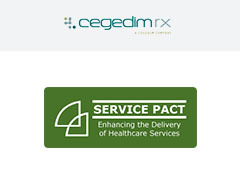 Cegedim Outsourcing enables the outsourcing of simple or complex processing via the management of operations directly on one of Cegedim Outsourcing's sites or within the customer's services. 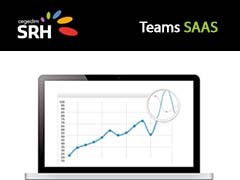 Measure the performance of sales teams. 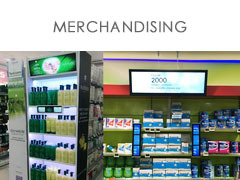 Helps to evaluate the impact of the operations carried out for a product/a range; carried out among targeted pharmacies in relation to a control or for an entire population before/during/after. The impact may be measured by prescriptions, units and/or turnover. 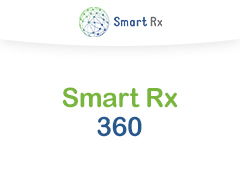 Enables the implementation of an inventory of prescriptions and deliveries implemented in pharmacies. This type of study may be carried out for ALL product sold in dispensaries (ethics, OTC, p)ara, medical device, etc.). 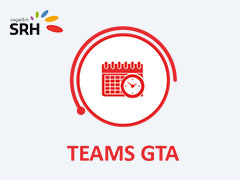 The application allows a Delegate to view data for the UGA of his sector and a Regional Director to view all of the delegates that comprise his team. The constant reinforcement of transparency rules and 'anti-gift' provisions ('DMOS' laws) requires extreme vigilance from drug and medical equipment companies which generates additional administrative tasks. Collaborative platform dedicated to multi-professional practice in healthcare establishments and homes. 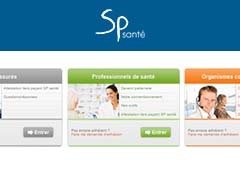 With MLM certified e-santé V2 by Asip Santé, CLM's MSP Solution meets the challenges of coordinating treatment and mobility in regions thanks to its multi-professional data-sharing and communication tools in health establishments and homes, as well as with healthcare professionals external to the structure. Doctors, paramedics, pharmacists, everyone naturally finds a software environment specific to his or her own practice. 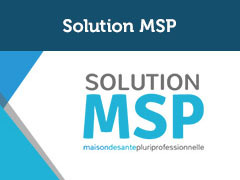 The MSP Solution includes MSSanté secure messaging, DMP, Health Insurance remote services, a smartphone mobile app, and offers 100% eligibility in new payment methods (NPM). Over 400 homes and health centres now extend their trust to CLM. The consultation of documents deposited automatically by suppliers and manually by the dispensary For several types of documents: Contracts, payment notices, statements, invoices, welcome documents, etc. Entrust all or part of the management of your information system! Cegedim Outsourcing supports companies in their development and offers them flexibility, a rapid response and control over costs in order to guarantee the availability and performance of the information system and user satisfaction 24/7. Broadcast your advertisements on the leading online news websites for doctors (more than 74,000 doctors) and pharmacists (10,000 pharmacists). 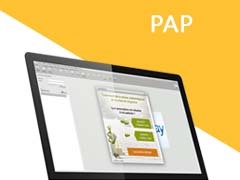 Thanks to PAP Medexact, deliver your information messages directly to the medical software of more than 23,000 doctors, 42,000 paramedics and 6,200 pharmacies. 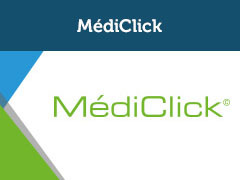 Broadcast your adverts on the leading medical channel to more than 129,000 health professionals: Fréquence Médicale via our MHM partnership. ​FUTURAMEDIA offers a turnkey offer for pharmacists and groups that includes: a subscription to the digital screen system, installation of the device, maintenance and after-sales service and access to the pharmacist programming interface. 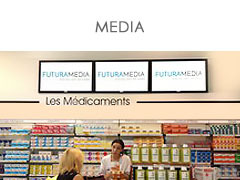 ​FUTURAMEDIA offers a turnkey offer for pharmacists and groups that includes: a subscription to the digital merchandising system, installation of the device, maintenance and after-sales service and access to the pharmacist programming interface. Certified e-santé V2 by Asip Santé, Crossway meets the medical management, administrative and dental needs of all types of structures. 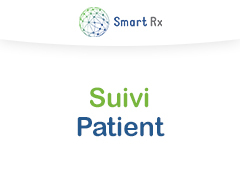 Patient records, consultation, prescription, invoicing, the solution is adapted specifically to the patient's treatment path at the centre. 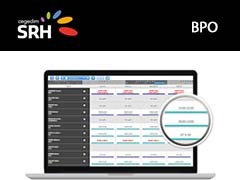 LAP certified (help with prescription) with BCB Dexther, the leading medication database approved by the French National Authority for Health, MédiClick is eligible for the Forfait Structure (Structure Fixed-Rate) of the Medical Convention. 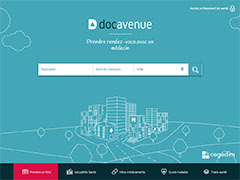 In addition to the surgery's standard medical and administrative management functions, MédiClick includes all Health Insurance remote services, MSSanté secure messaging, DMP, and is synchronised with Docavenue for online appointment scheduling. Also accessible via its mobile app. An easy way to see patients remotely. Includes virtual waiting room management, secure videoconferencing, document exchange, and payments. 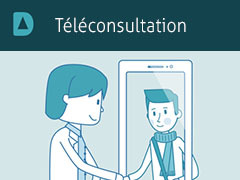 Docavenue online consultation meets all the requirements for reimbursement. Appointment management: transfer your incoming calls to a receptionist who can make, reschedule, or cancel appointments. Flexibility: handle all your scheduling remotely or only when you choose to. Online calendar: access your calendar online 24/7. Access appointments: you have the option to manage appointments yourself. Paper copy: print out your daily appointment schedule. 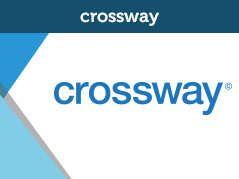 Alerts: receive emergency messages by call or text. 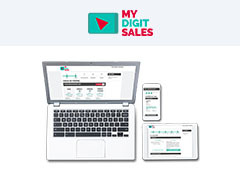 SY FLOW is a complete and global solution that allows you to digitise and simplify your contrat-to-pay processes and improve your business relations. and 3 publishers of inventory management software. and use your data to improve performance. 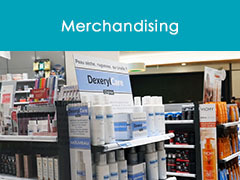 pharmaceutical companies to grow their direct sales. Patients love the convenience of GP online services. 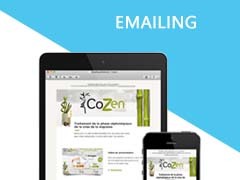 Our responsive websites optimise this experience on smartphones, tablets and computers. Online services available include appointment booking, prescription requests and viewing medical records. Pharmacy Manager, Nexphase and Healthi add-on. 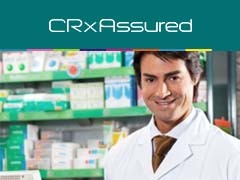 CRxAssured is a wireless 3G backup solution that has been designed to safeguard your critical pharmacy operations. 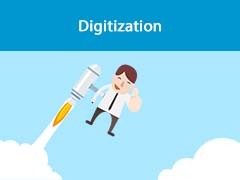 With the uptake of electronic prescription services across the UK, a reliable internet connection has become crucial to ensure pharmacy business continuity. 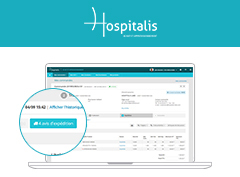 Pharmacy Manager, Nexphase and Healthi add-on. 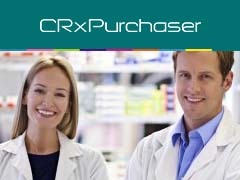 CRxPurchaser is a new web-based purchasing tool which has been designed to help pharmacies to reduce spend on medication as well as minimising the administration and complexity of ordering whilst ensuring consistency across pharmacy groups, buying groups or within an independent pharmacy. 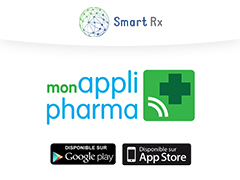 Pharmacy Manager, Nexphase and Healthi add-on. 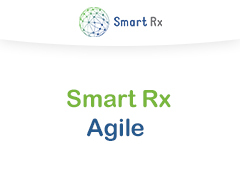 Data is at the centre of any pharmacy especially with increased reliance on PMR systems and the roll-out of electronic prescription services across the UK. 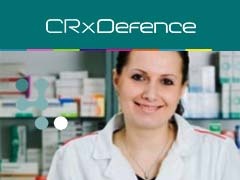 CRxDefence is a premier online back-up management service specifically designed to minimise the risks to your business. 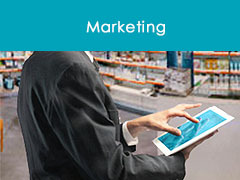 As well as a complete suite of the functionality expected from today’s PMR systems, Pharmacy Manager gives community pharmacies speed, stability and resilience, in addition to enhanced solutions for MAR charts, managed repeats and access to the KnowledgeBase medication and healthcare information database, all of which help to reduce dispensing errors, while also improving patient experience and business effectiveness. 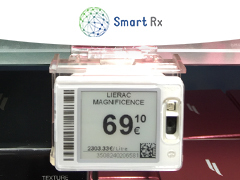 Nexphase is the fully flexible PMR system that allows you to dispense, label, order and endorse, park and retrieve in any order you like, meaning that the system will fit to your preferred workflows. 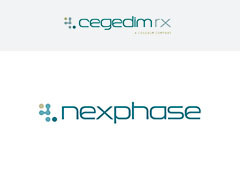 Nexphase is continually described as having the quickest workflow on the market which twinned with our product file, produced and maintained by Cegedim Rx’s in-house pharmacists, makes it an unbeatable combination. 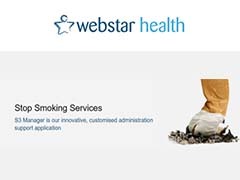 ​A successful Stop Smoking Service produces the best outcomes – and makes the best use of expensive resources such as staff and pharmacotherapy. 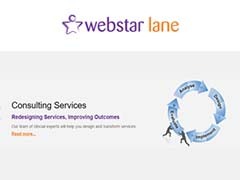 Be among those Service Managers who already design and deliver services to these standards by implementing Webstar services. Department of Health plans to take NHS Stop Smoking Services into the next decade demand the delivery of highly targeted, robustly-evidenced services that produce the best outcomes and make the best use of expensive resources such as staff and pharmacotherapy. Some Service Managers have already started delivering to these new standards by partnering with the managed services organisation Webstar Health. Department of Health guidance, published in 2009 sets out the new challenge facing commissioners of NHS Stop Smoking Services to reach resistant smokers. 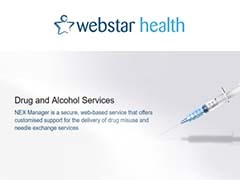 Designed and managed by Webstar Health, the IVR is designed to manage long-term client follow-up, and it is proved to successfully overcome the administrative burden of long-term client follow-up traditionally done by staff calling or writing to service users. The package of web platforms called OptoManager has been developed for Local Ophthalmic Committee Support Unit (LOCSU) by Webstar Heal​​th. 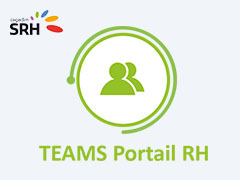 The technology virtually eliminates manual administration of optical services, helps with data collection and generates insightful performance reports. ​OptoServe provides a range of features and benefits for CCG service commissioners (see features at a glance below) which enable efficient and effective service delivery. ​OptoClaim is a paperless invoicing and administration system for optical contractors on the front line with a range of features (see box below). The minimum data it collects is enough to record outcomes and calculate the correct payment. Contractors can make more use of their time and resources because administration is dramatically reduced. 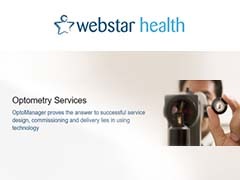 Once the OptoManager system is implemented, Webstar Health’s clinical and management experts provide on-going support. ​Every year, pharmacists provide more than 14 million face-to-face contacts with drug users. They play an important role in their treatment and care, including dispensing drugs as part of supervised consumption arrangements and offering needle exchange services. ​Pharmacies provide sterile injecting equipment and other support, as well as ensuring the safe disposal of used injecting equipment. Pharmacies providing dispensing services aim to ensure compliance with the agreed treatment plan, improve retention in drug treatment by providing instalment dispensing and ensuring each supervised dose is correctly administered to the patient for whom it was intended. We are a clinician led team with experience in managing and delivering healthcare services. We have a track record in service development for the NHS, having supported NHS organisations with service redesign, performance improvement, programme management and helping to navigate the health services procurement maze. Led by pharmacists, our roots are in clinical services and our experience at all levels in the NHS gives us the ability to provide a compelling combination of strategic advice and hands on support.